Employee engagement is identified as the level at which staff are involved and dedicated at work. This may be difficult to measure, however high achieving businesses appear to have high levels of engagement. This may seem basic, however it looks like many businesses are not doing as much as they could. It’s worth taking a closer look at the statistics involved. 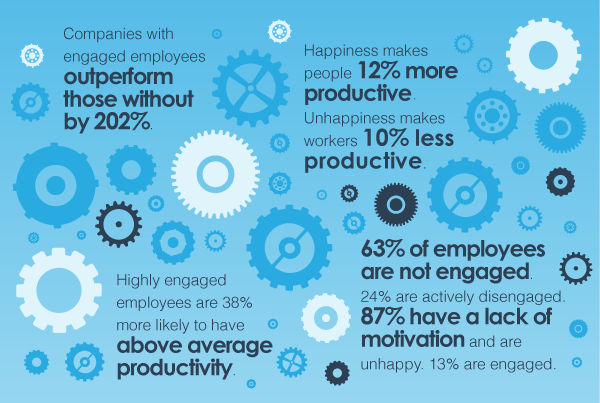 The statistics show that employee engagement could do a lot for your business. So how do you increase employee engagement?